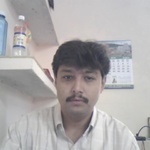 I have 16 yeras experince in IT field and since last 8 years I am working on PHP, MySQL platform. I had developed many large application during this 8 years. I will give you...Read moreI have 16 yeras experince in IT field and since last 8 years I am working on PHP, MySQL platform. I had developed many large application during this 8 years. I will give you concreate and robust solution. I will always take care of client side and server side validation. As well as URL parameter which are primary target of hacker.